The limited-edition William Henry B09 Kestral Sidewinder is a compact folding knife that is versatile for its size and beauty. The American-made copper wave pattern damascus folding knife measures a total length of 5.06 inches and weighing only 1.2 ounces, its compact size belies its superior and strong built, making it a great everyday folding knife for all types of work and environments. The blade is just over 2 inches long, made from beautiful copper wave pattern damascus steel with a VG-5 steel core, giving the blade a sharp edge with good retention. The drop point blade allows for easy maneuverability when gliding the blade through materials, as well as allowing for easy piercing, slicing, and cutting. 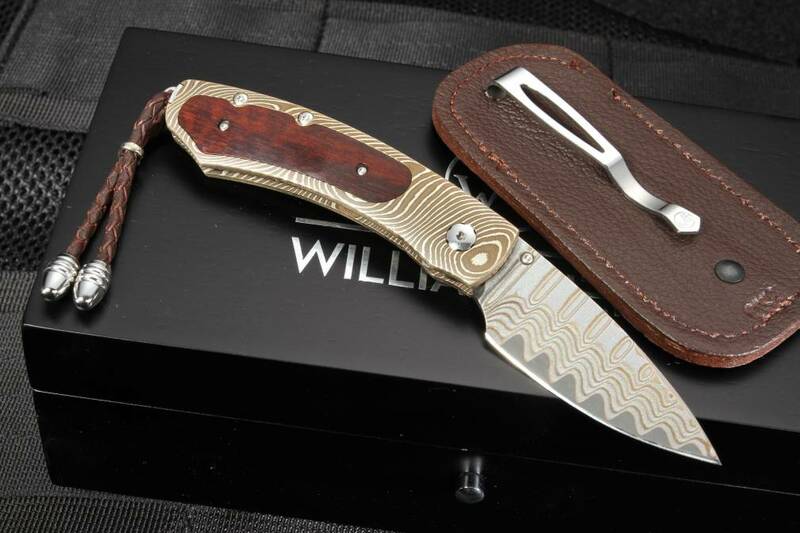 The twist mokume handle features premium snakewood inlay, giving it a distinctive look and feel. The one hand button lock and thumb stud allows for fast deployment and secure lock up with the button lock on a beautiful twist mokume frame by Mike Sakmar. Both the thumb stud and button lock are also set with beautiful citrine, giving the knife an added elegant element to the overall aesthetics. The B09 Kestrel model can be carried in its brown leather clip case, or by using the sterling silver lanyard bale with a braided brown leather lanyard, allowing flexibility and ease in carrying the knife. 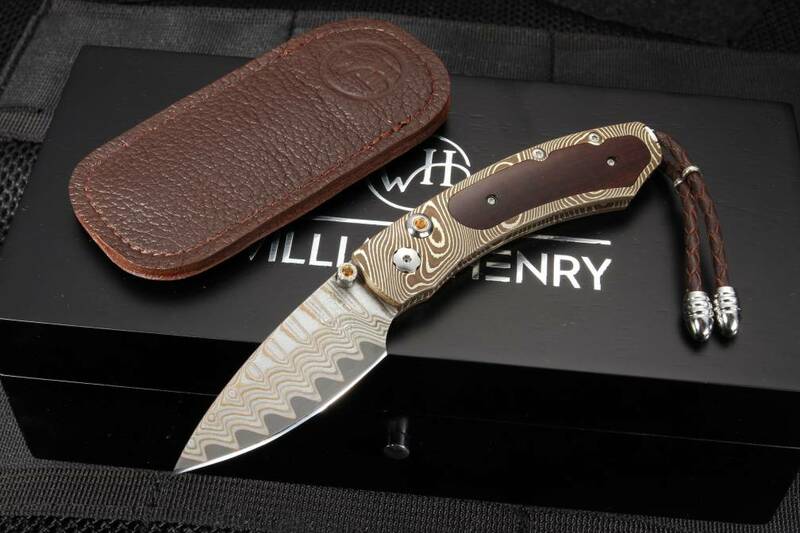 As with all KnifeArt knives and tools, your B09 Sidewinder is an authentic, verified William Henry knife, and will be shipped to you with the knife's certificate of authenticity in a wooden presentation box. With only 50 numbered knives, you are guaranteed a unique knife, satisfaction guaranteed. We ship the same business day.